Feet crunching through the snow. Two friends, wrapped in blankets, cheerily huddled with their dog below an awning at the corner of 2nd and Main Street, shouted in support as the Martin Luther King Jr. Day march solemnly passed. Augie – both declined to give their last names – said that it was his first day homeless in months. The other, Noka, said that Martin Luther King and Barack Obama are his heroes. The former “knew that the only thing that differed between us is skin color;” the latter gave him health insurance. 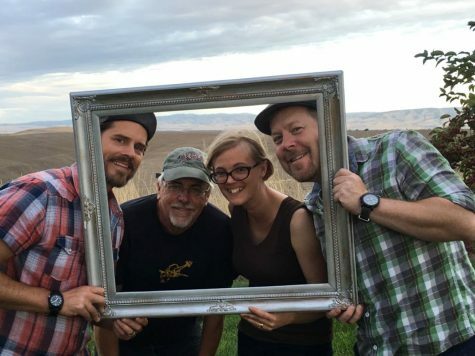 The Power House Theater component, combined with the active participation of WWU, made the event larger, longer, and more diverse than in the past. In recent years the march only went as far as the brick plaza at First and Main Street, and it had been thought of as more of a “Whitman thing,” wrote Kirtley. 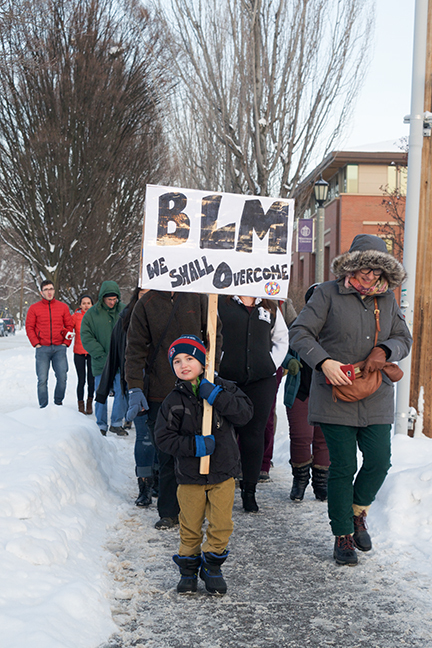 Among those in attendance was Whitman junior Robin Rounthwaite, who came out looking for a refresher on the larger meaning of Dr. King’s work. “I can go home and I can study something that [King wrote] and think about what does that mean to me, but sometimes that doesn’t make as much of a difference as talking to somebody does, as seeing somebody who really cares about something trying to do something, even if it’s just walking down the street like we are,” he said. 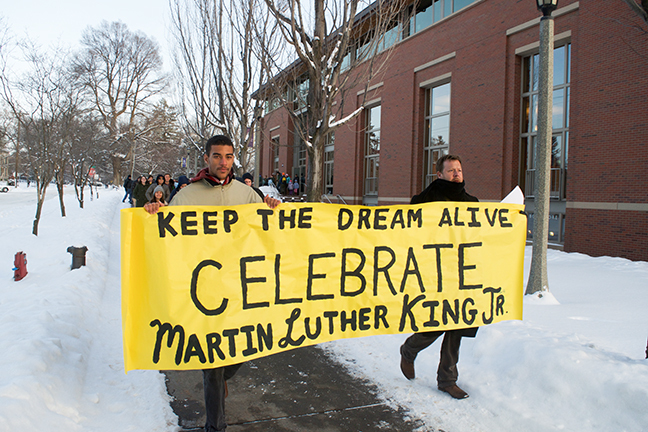 Shemitz cited Whitman College’s summer fly-in program for incoming first generation and low-income students as an “example of the college’s commitment to diversity and inclusion.” He acknowledged that the school, of course, has a long way to go. Kazi Joshua, he said, was leading the way. A gospel-style choir, composed of WWU and Whitman students, was organized over winter break by Whitman senior Faith Nyakudi. The crowd rose as they finished with Lift Every Voice. 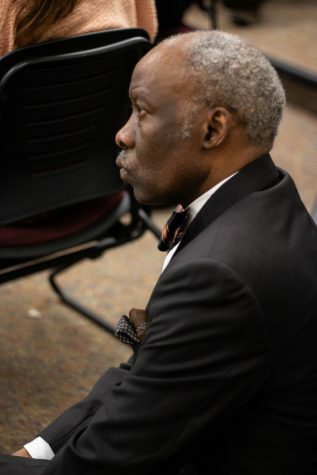 As Joshua greeted departing attendees at the back, he reflected on the good: an active consciousness within the Whitman community of its shortcomings in regards to inclusivity, and the challenges: creating conditions for “meaningful interactions” between the campus and the community. 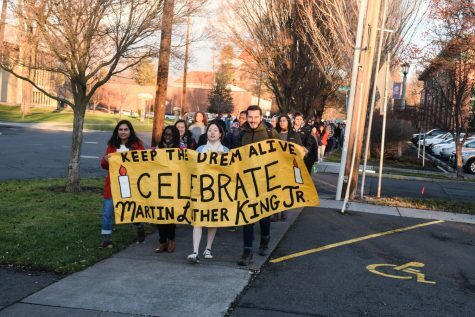 “As King himself said, the goals of these types of gatherings shouldn’t be to placate us – to check a box – meaningless ritual,” Kirtley wrote in an email. “I think the event restores hope that there are so many people who share a passion for the work of justice…Yesterday’s turnout was pretty remarkable. I think, in some ways, that is [a] testament to how people are feeling right now. These feel like uncertain times for those who have been disenfranchised and pushed to the margins. King’s refrain in that speech was “Now is the time.” Maybe what people were saying yesterday is, “‘Now is STILL the time. Let’s get to work,’” Kirtley wrote.